In a very large nonstick skillet, heat olive oil and add Kielbasa. Brown Kielbasa on both sides; remove from pan. Add Margaret Holmes Seasoned Cabbage to pan. Layer the potato slices on top of the cabbage: sprinkle evenly with salt and pepper. 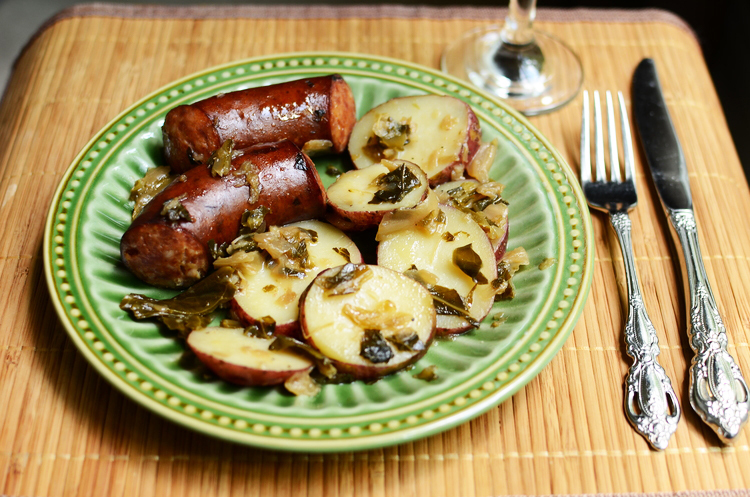 Place Kielbasa on top of the potatoes. Bring mixture to a boil, then reduce heat to a simmer and cover pan. Continue simmering for about 30 minutes, or until the potatoes are tender.